State Bank Of India(SBI) is recruiting 2000 Probationary Officer in 2015-16 . SBI conducting online exam for the posts in 2 steps . 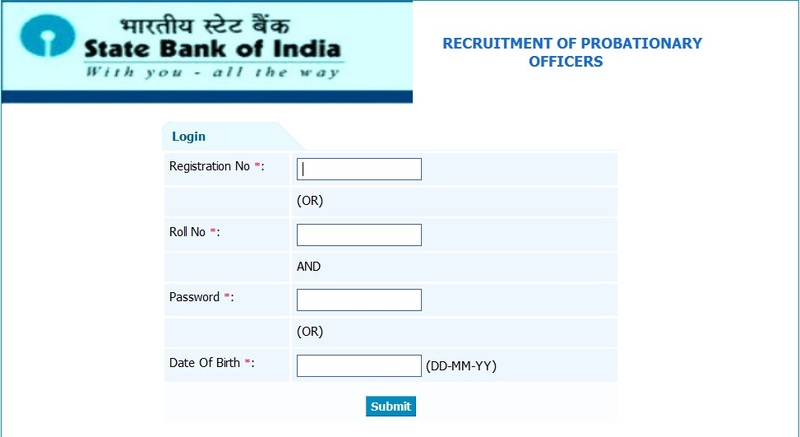 State Bank of India(SBI) has published the link for downloading the Call Letter for Online Preliminary Exam for the Recruitment of Probationary Officers (2015-16). You will see a Login page just like below image. Enter your Registration No Or Date of Birth Or Password . Download Call Letter as Pdf or Print it Online.